Use the telescope in combination with your PC! 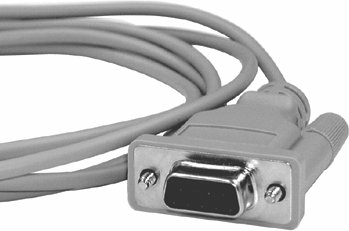 Do you want to connect the PC/laptop via USB? Then you need a USB converter which is available here! I ordered this item which arrived very promptly and in good order. The problem I had was that it had a 9 pin rs 232 connection whereas my laptop and two other computers that I own had 15 pin connections. I assumed that this could be overcome with a usb adapter and physically it was. However when trying to set up telescope control the laptop could not 'see' the telescope. I believe this to be because the usb port of my laptop is not recognised as a COM port - I do not know how to rectify this though I believe there is a software solution. Any help please! I don't think I can be the only one to have found this problem.